← Imix Message: Why did the Crocodile Swallow the Phone? Have you had some fresh Spirit today? Have you been outside for a walk and breathed deeply, felt the winds on your cheeks, and acknowledged the standing tall ones, the trees who produce the breath of life? Across the world, the sacred traditions equate or associate Spirit with breath, the wind, the air. 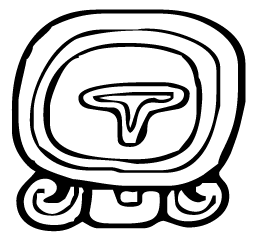 Because today is the Mayan Tzolkin day of 8 Ik, the glyph that means wind or breath, I will consider the Breath of Life. We live in a world of density, gravity, hardened materiality. But there was a Time in the Ancient of Days before humanity was enmeshed so deeply in materiality…a time that has passed into myth… a time of Eden when humans were Spirits in an ethereal spirit realm. As eras and ages passed, and our ancestors slowly emerged from their full emersion in ethereality, in Spirit–the ancient Yogic tradition arose in order to provide a way back to Eden. Breath, the Life Force or Prana was the key to “yoga,” or reunion with spirit. Fast forward to the time of the ancient Hebrews and Greeks. The Hebrew word behind spirit is ruach, and it means “air in motion.” It is the same word for “breath” and also means “life.” Similarly, the Greek word pneuma was used variously as “air in motion, breath, wind and spirit.” A bit later, we find the same associations and meanings in the Latin word, “spiritus,” (which we retained in our lexicon) which for the Romans had the double meaning of both breath and spirit. 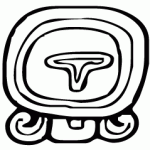 So we have the Mayan glyph for this day, the Gregorian day of Sunday, January 23, 2011, reminding us to pay attention to and appreciate and seek to understand the mystery of the winds, of the air we breath, of the breath of the universe and its kinship with Spirit. But don’t just take my advice. Take it from Oprah Winfrey too! Breathe. Let go. And remind yourself that this very moment is the only one you know you have for sure. This entry was posted in Uncategorized, Wellness and Spirituality and tagged Du'TSu, Grandmother Parisha, Oprah Winfrey, Pa'Ris'Ha, Spirituality, Wellness and Spirituality, WellnessAndSpirituality.net, Wind voices. Bookmark the permalink.